USAA offers auto insurance exclusively for veterans, active-duty military and their families. Other providers offer special discounts and services for members of the military. Of the companies that provide military discounts on car insurance or offer special perks to service members, none approach it the same way. Taking into account customer satisfaction, consumer complaints, overall NerdWallet ratings, discount details and what we know about pricing, here’s how three insurers compare. Discount details: Members receive 15% off comprehensive coverage for a vehicle garaged on a military base. In California the discount also extends to collision coverage, but it’s not available in New York. If you store your car while deployed, you’ll receive up to a 60% discount on your auto insurance, but it’s not available in California, Hawaii, North Carolina or Virginia. Those currently enlisted in the U.S. Air Force, Army, Coast Guard, Marines, Navy, National Guard and Reserves. Retired or honorably discharged military members. Those in U.S. service academies, in advanced ROTC or on ROTC scholarship, plus officer candidates within 24 months of commissioning. Family, including widows, widowers and unremarried former spouses who had USAA insurance while married; also children whose parents have or had USAA insurance. Are deployed to “imminent danger pay areas” defined by the U.S. Department of Defense. Store their cars according to an approved storage protection plan. Geico (like nearly all companies) was more expensive than USAA in our annual nationwide car insurance rate analysis. However, it got fewer consumer complaints than USAA for auto insurance in 2018, relative to its size, according to the National Association of Insurance Commissioners. Additionally, keep in mind that rates are very personal. You may still get a cheaper price from Geico when the military discount is factored in, because it applies all the time and not just when deployed or living on a base. You’d have to get a quote from both insurers to know for sure. Discount details: Arbella’s 10% discount is available to Massachusetts customers deployed on active duty at least 100 miles from their car. Although Arbella is too small to be rated by NerdWallet at this time, its J.D. Power rating is below average, or among “the rest” for auto insurance. It had close to the median number of complaints to state regulators relative to its size, according to the NAIC. Although it doesn’t list a military discount on its website, Esurance promises an easy process for customers in the military when they’re deployed. Esurance allows service members to cancel and reinstate auto insurance policies without considering it a lapse in coverage. Since an auto coverage gap can result in much higher rates once insurance is reinstated — and even lead to a high-risk driver designation — Esurance can save veterans and military members money without a specific discount. Car insurance companies that market to service members are aware of the special circumstances those customers might face, such as an overseas deployment, which might necessitate storing a vehicle and suspending or canceling coverage. If you’re facing a military deployment and trying to decide what to do about car insurance, consider factors such as your location, your car insurance provider and the length of time you’ll be away. Having a lapse in car insurance coverage, even while on military deployment, can result in higher premiums and status as a high-risk driver. Check with your agent or insurance company to determine the best strategy. USAA and Geico, for example, provide financial guides and checklists for service members facing deployment. If you’re a veteran or active member of the military looking to compare car insurance, take advantage of discounts available to you. Shop for the best deals, get quotes and compare rates before deciding on the military car insurance policy that’s best for you. Don’t stop looking for savings just because you’re getting a special military or veterans discount. Other savings available to all drivers who qualify for a policy are also available to you, such as discounts for safe drivers and for customers who bundle home and auto insurance policies. USAA, for example, offers discounts if you’ve maintained a clean driving record for five years or if your vehicle is 3 years old or less. 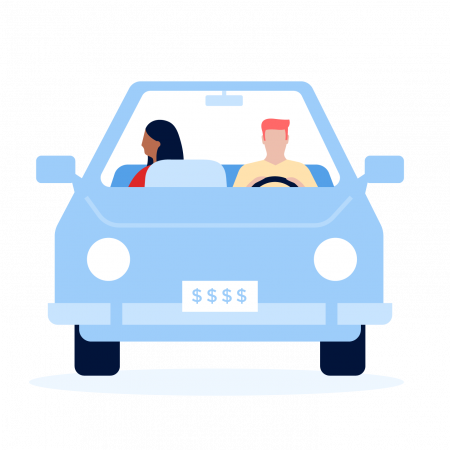 You might qualify for more savings if you complete a defensive driving course or if you cover two or more vehicles with your policy, for example. And some insurance providers offer loyalty discounts.